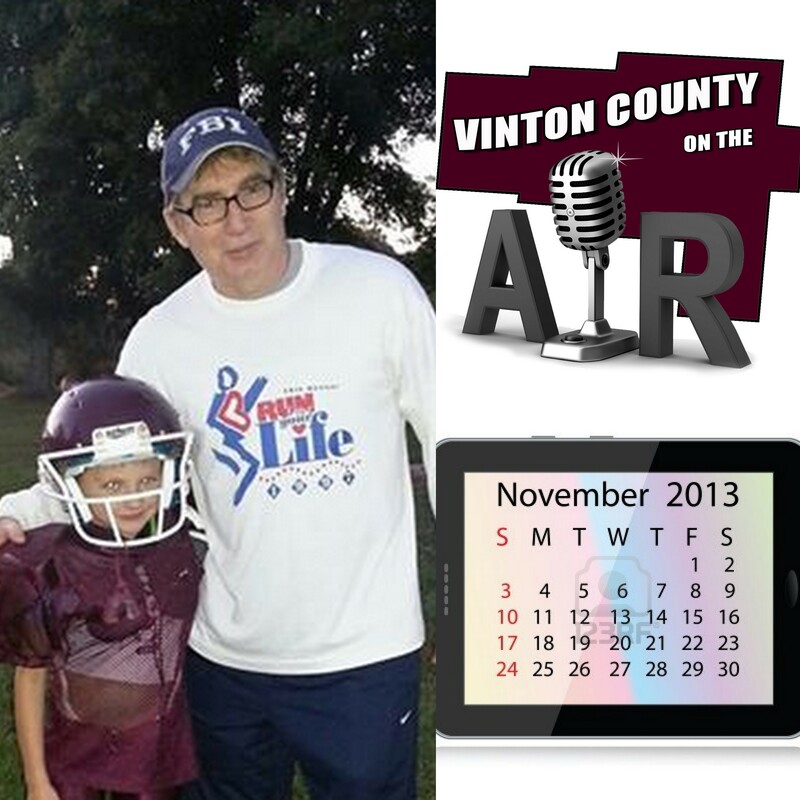 Here’s Episode 7 of Vinton County on the Air. In this somewhat shorter episode, we provide you the regular Vinton County Calendar of Events. There are several opportunities for you to get out and about in the county, including a very busy day on Tuesday, November 5th where you can not only exercise your right to vote, but you can also find lots of good food during some special Election Day meals. Although it didn’t make it into the podcast because of some technical difficulties, we want to thank Carl Knox and NJ Kight for their time spent talking about the Vinton County Tennis Team’s season. We’ll try to get those issues rectified and see if we can’t get that segment of the show back in the coming weeks. Our one guest for the podcast is Bob Grillo. Bob is well known throughout the county for many community activities, but in this episode, we talk with Bob about the years that he has spent behind the microphone broadcasting the Vikings football, basketball and even a few baseball games.